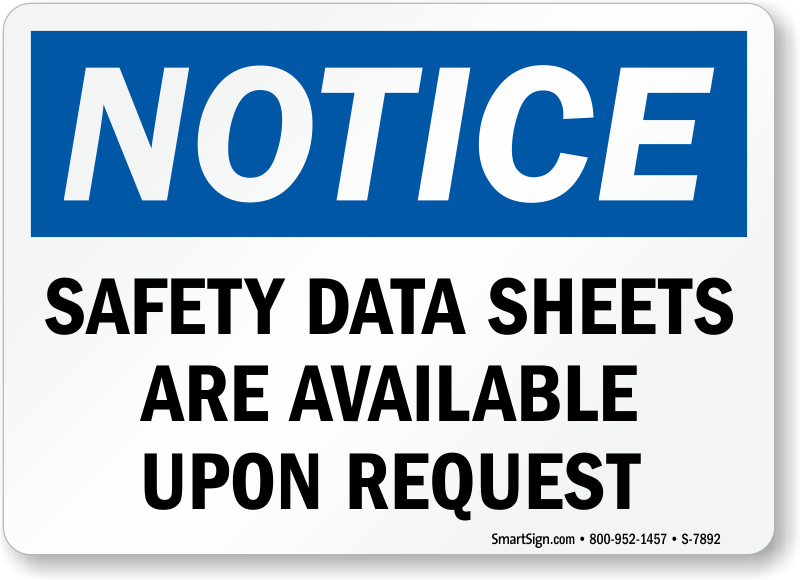 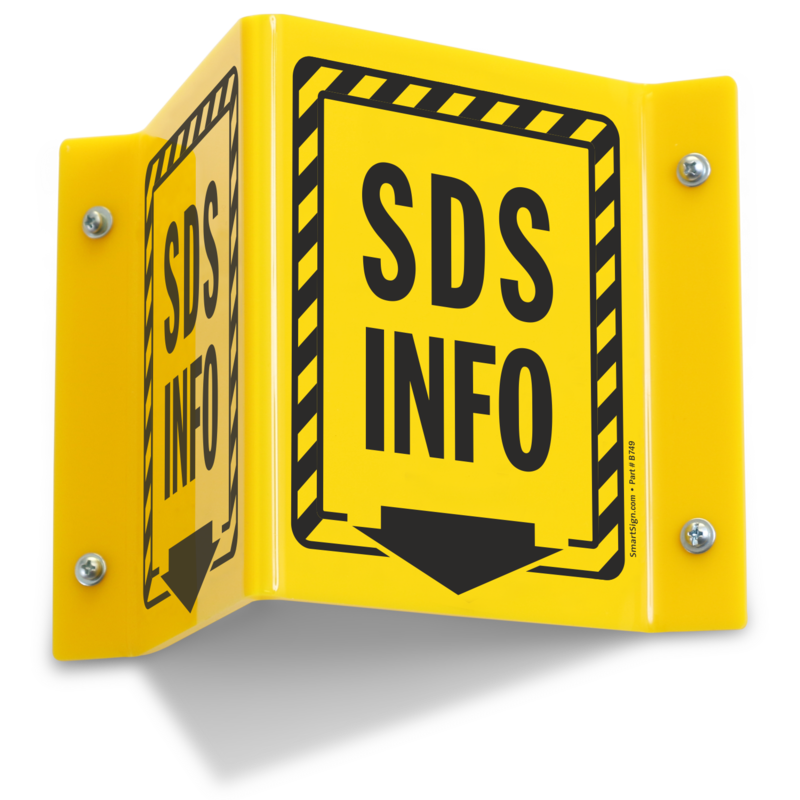 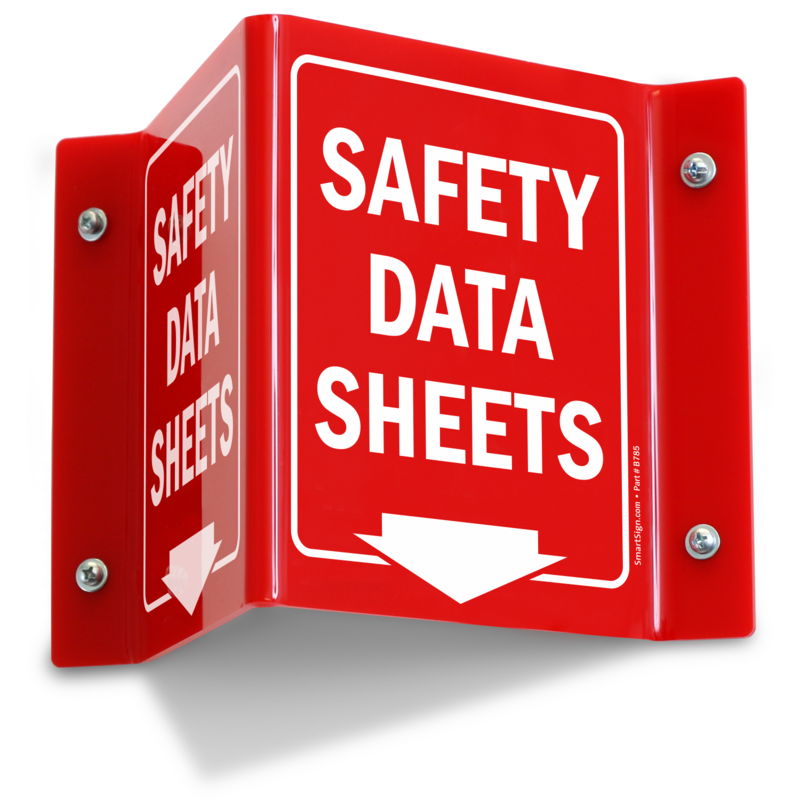 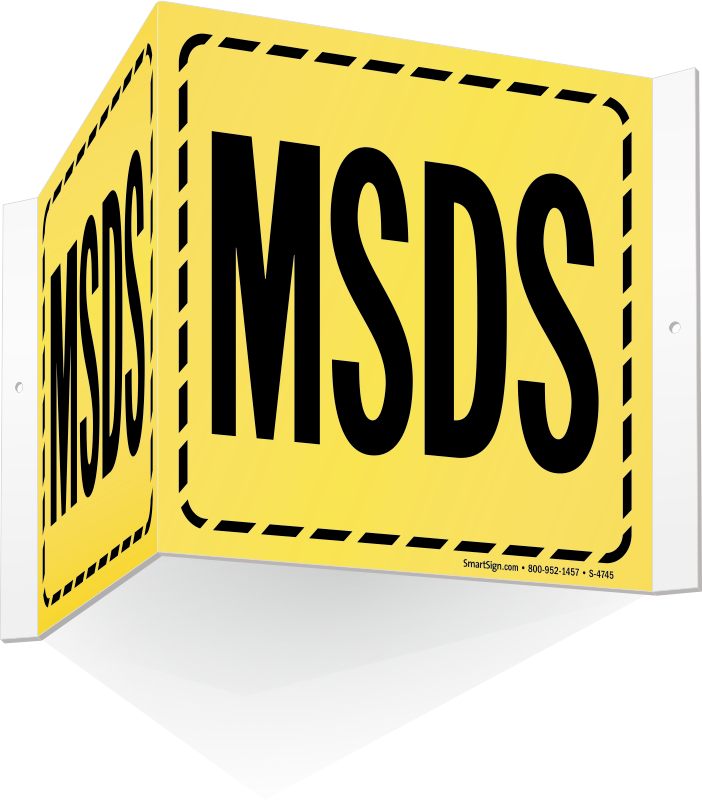 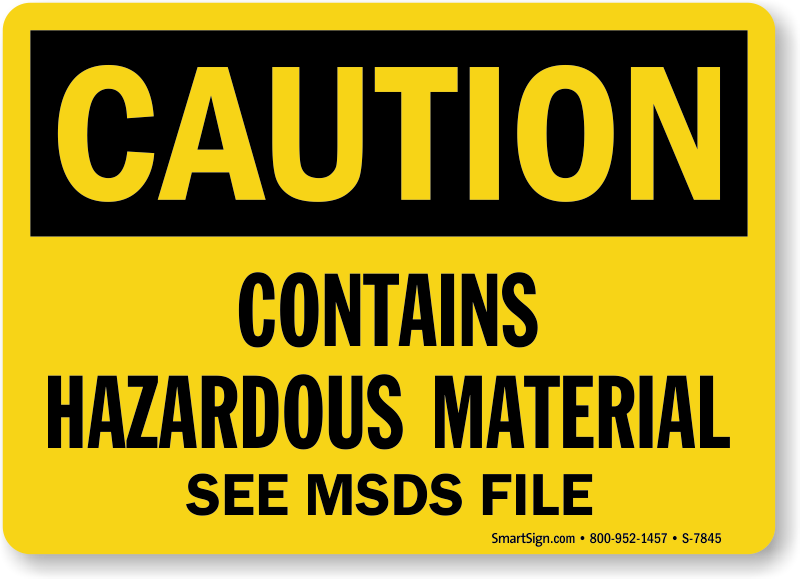 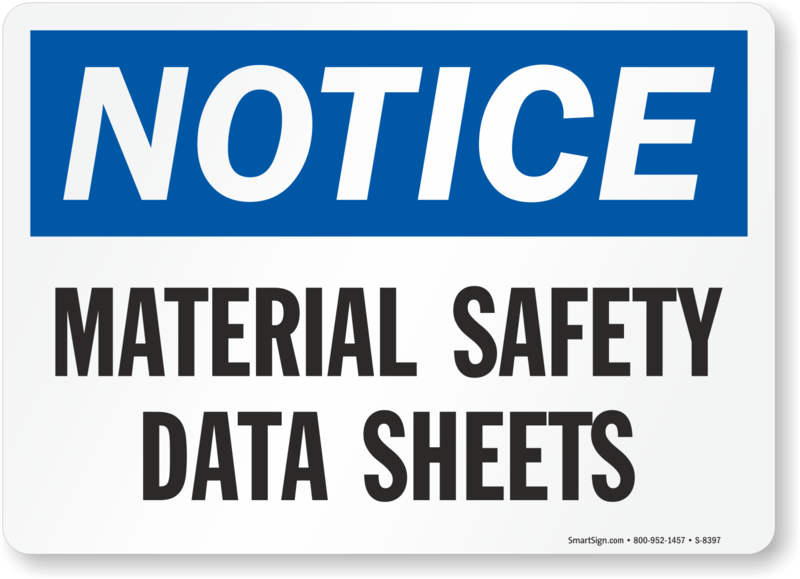 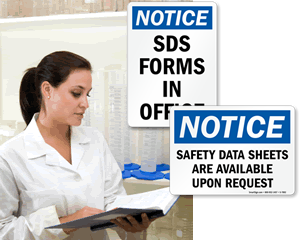 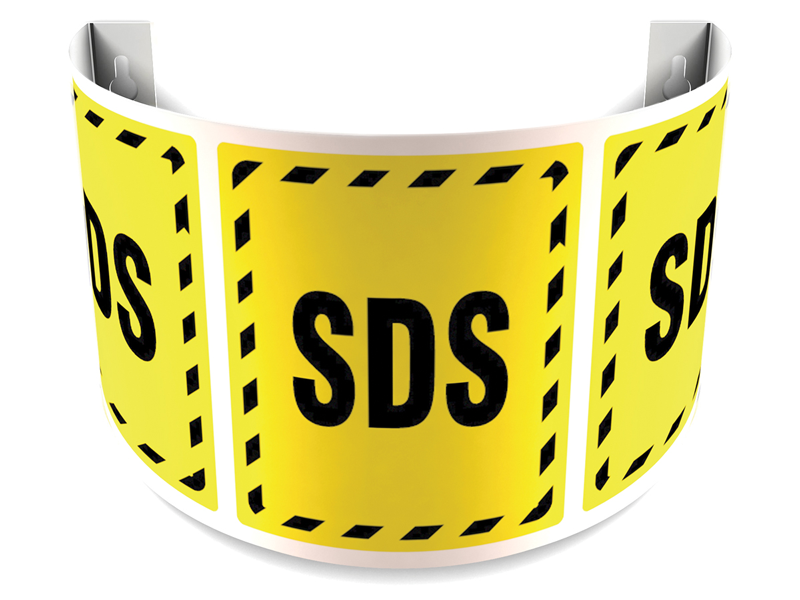 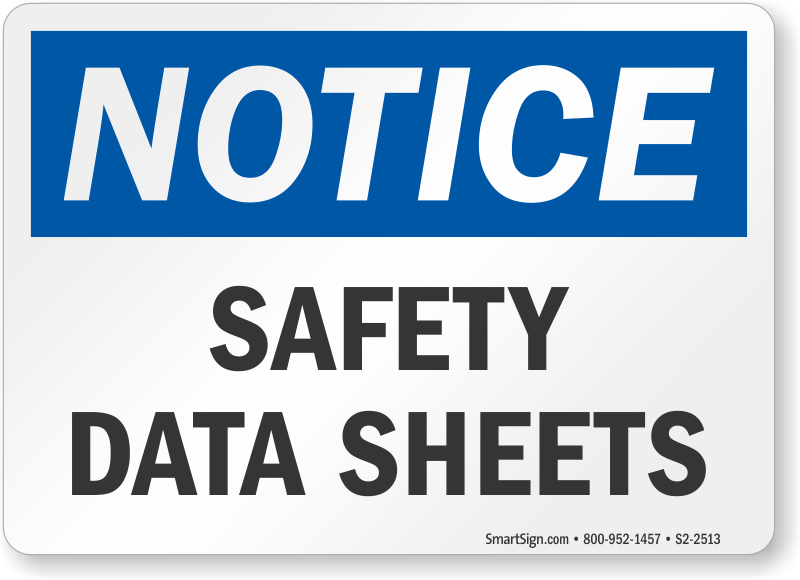 Safety data sheets (SDS), formerly Material Safety Data Sheets (MSDS), are an integral part of workplace chemical management. 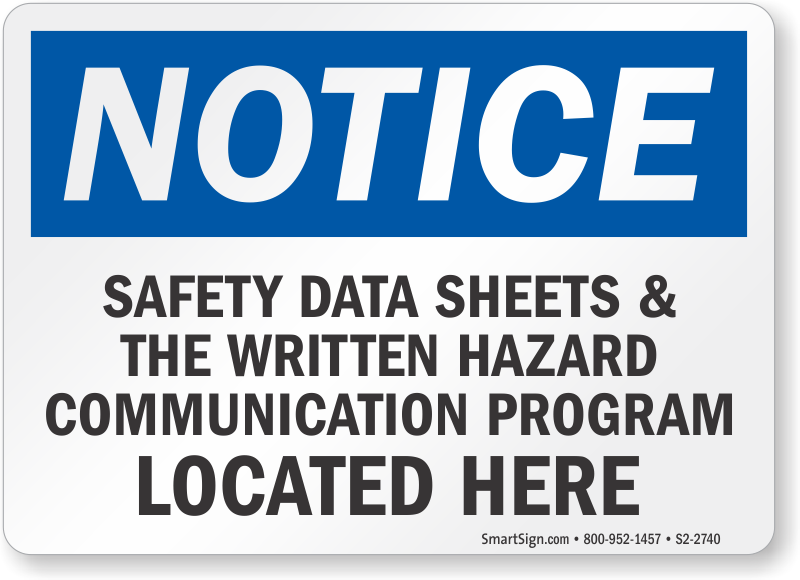 Help ensure each employee knows where to access this vital information. 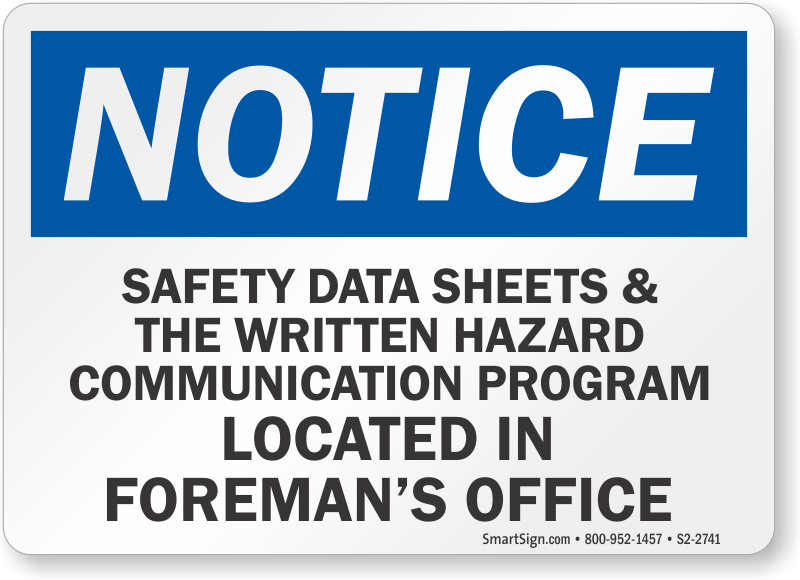 • Signs are available in vinyl, plastic or aluminum. 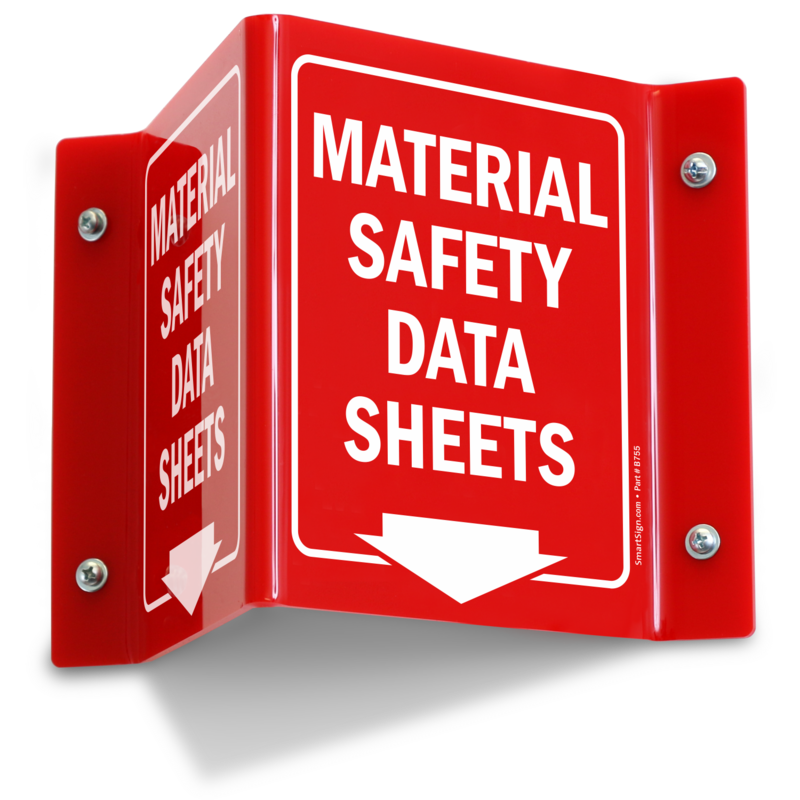 Choose the perfect material for your situation. 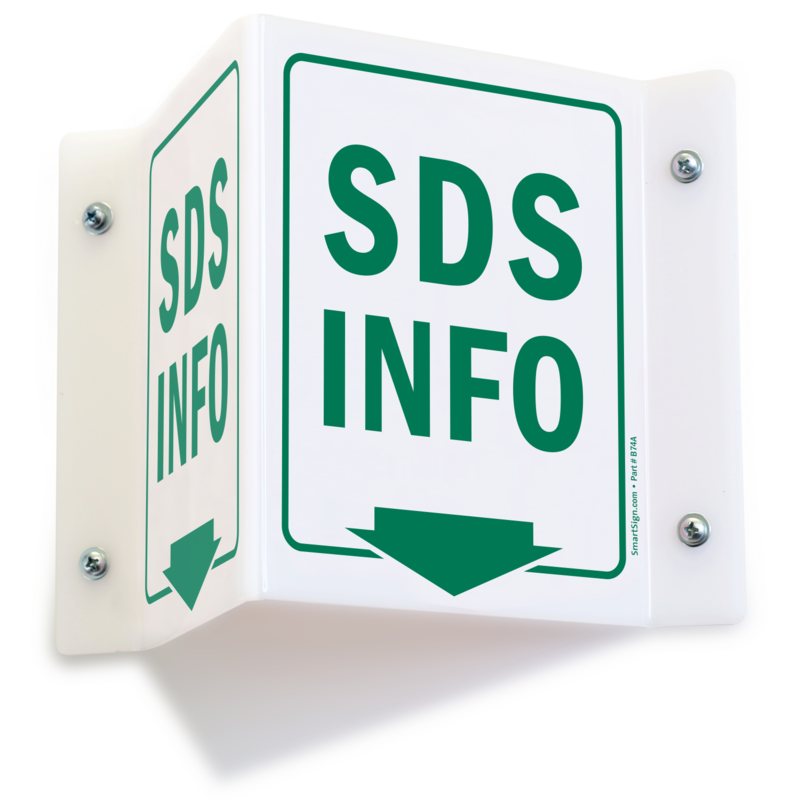 • Order bold projecting signs for a message that's easy to spot from all directions. 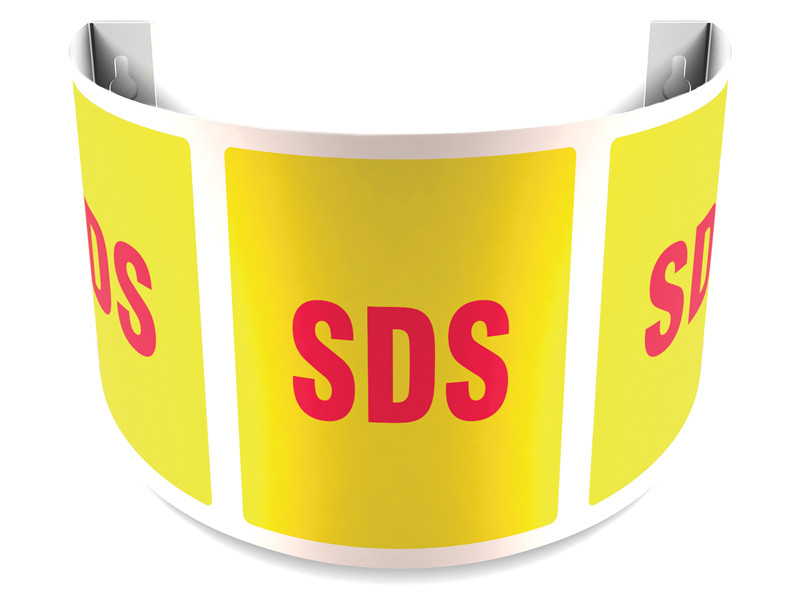 • If you need assistance with your order, contact our customer service team. 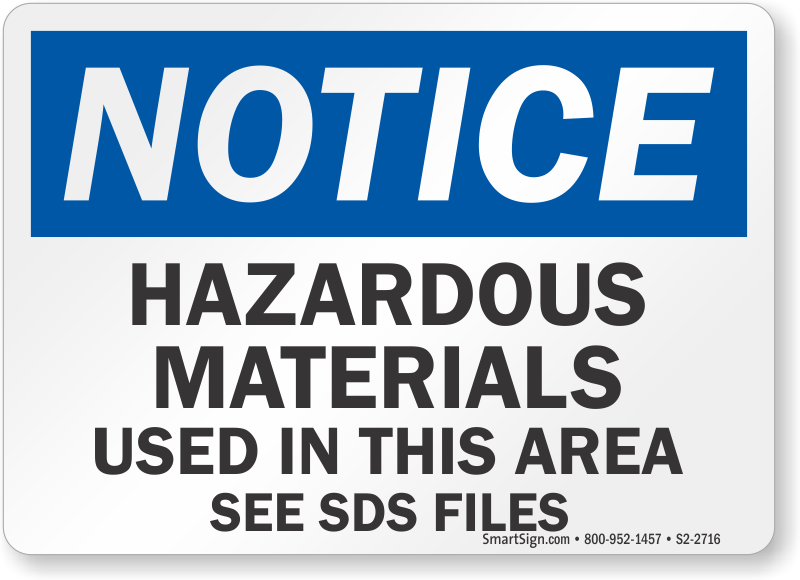 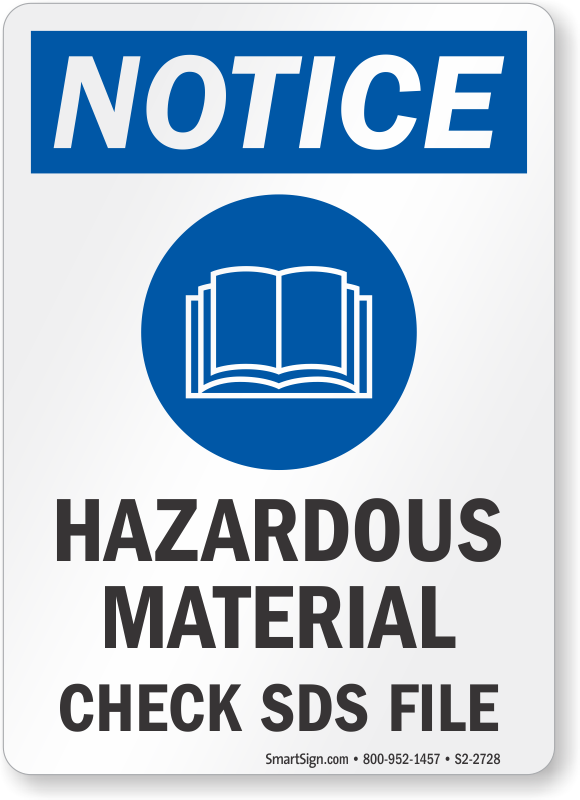 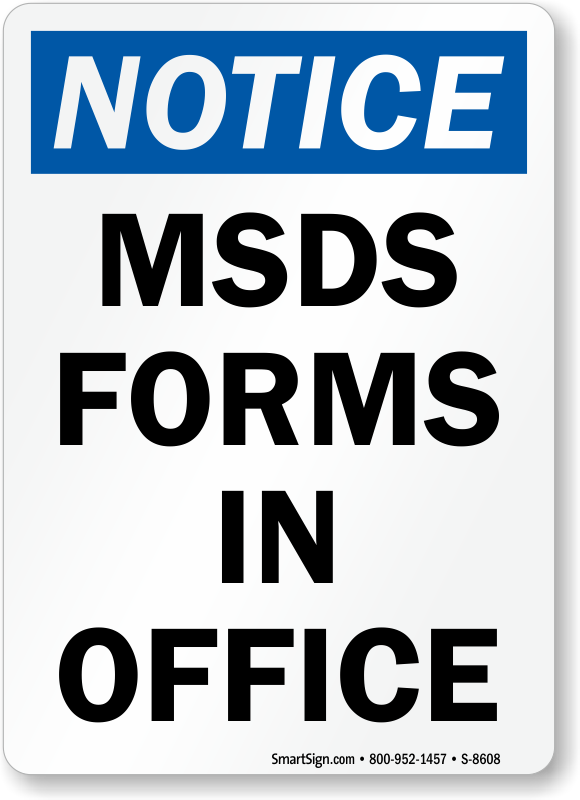 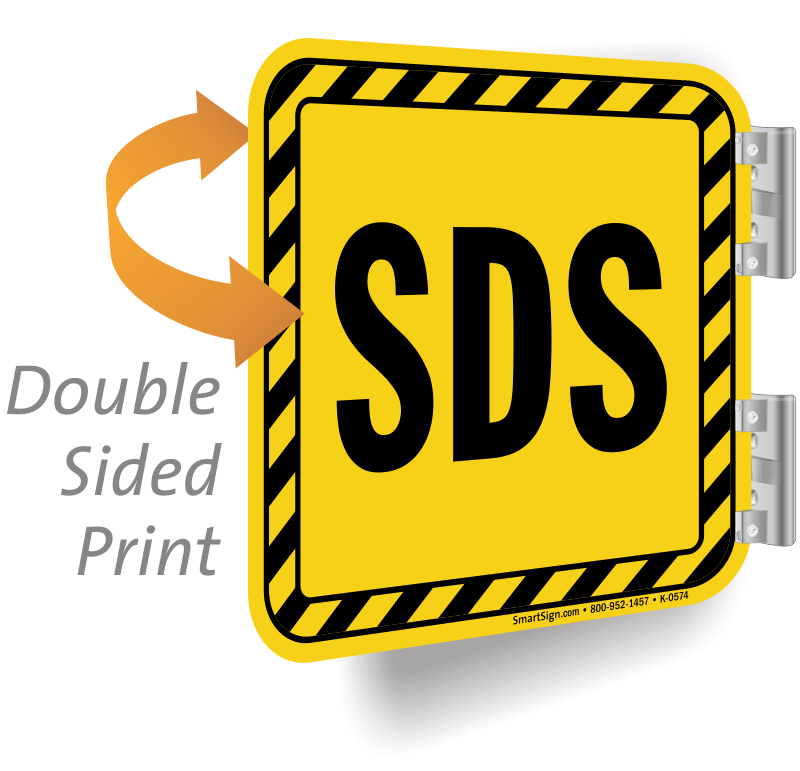 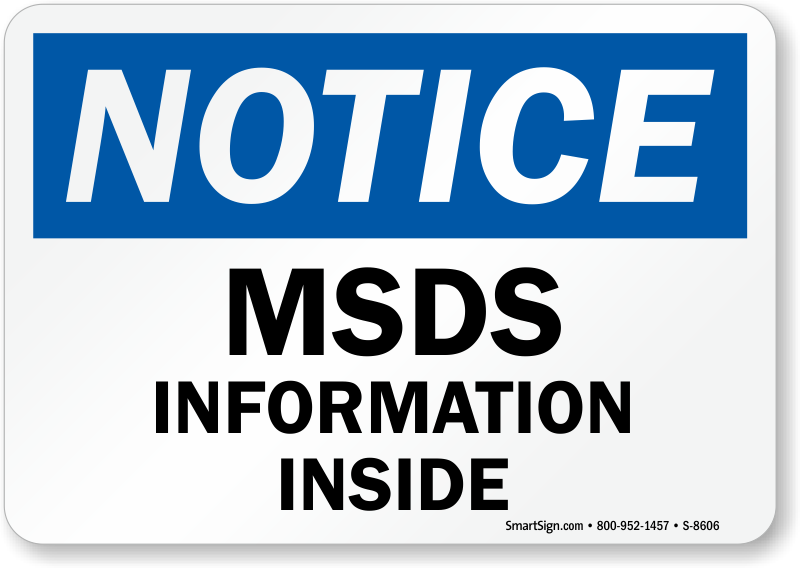 Signs give valuable PPE and hazard information – and reinforce your MSDS or SDS system. 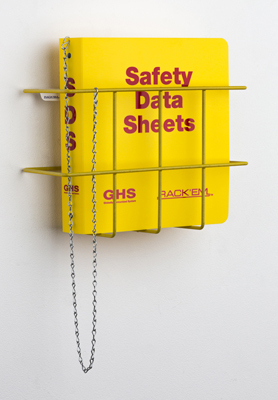 Serves its purpose. 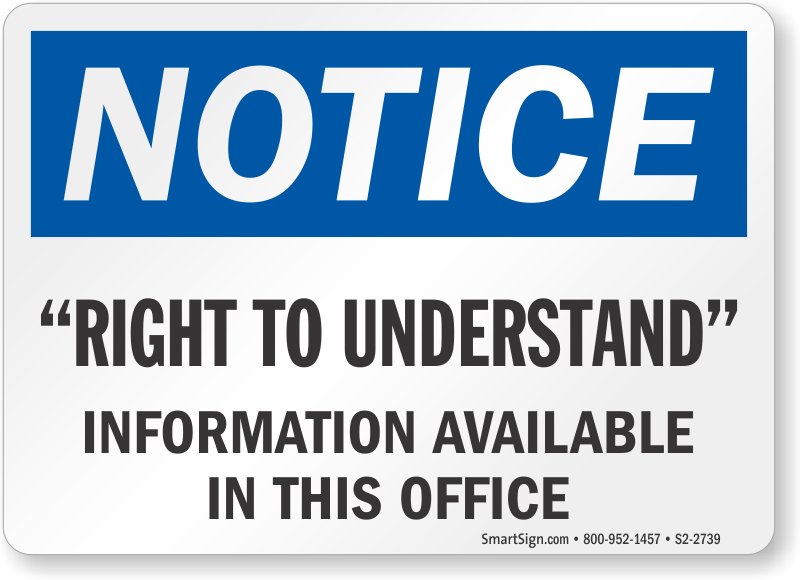 Not complicated or difficult to assemble. 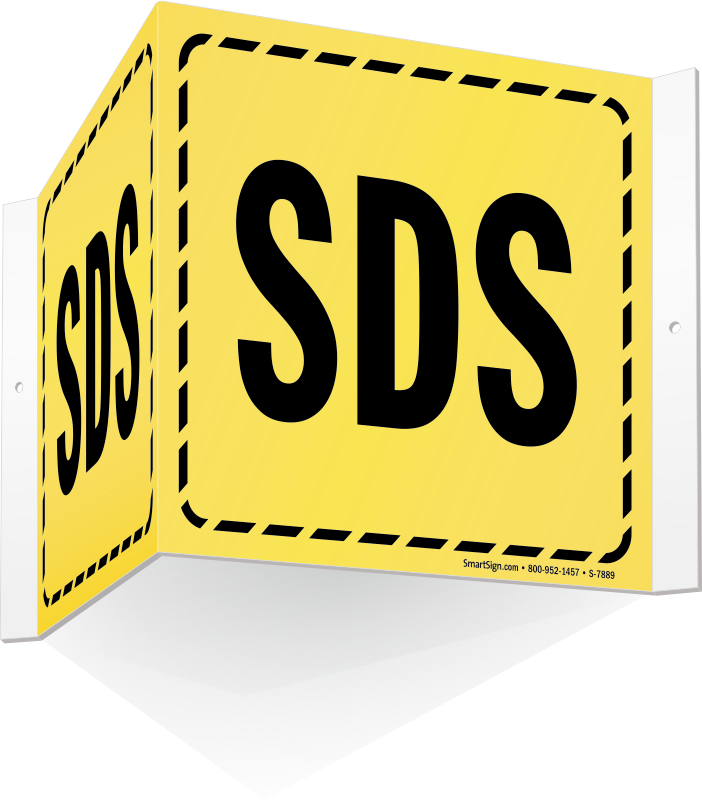 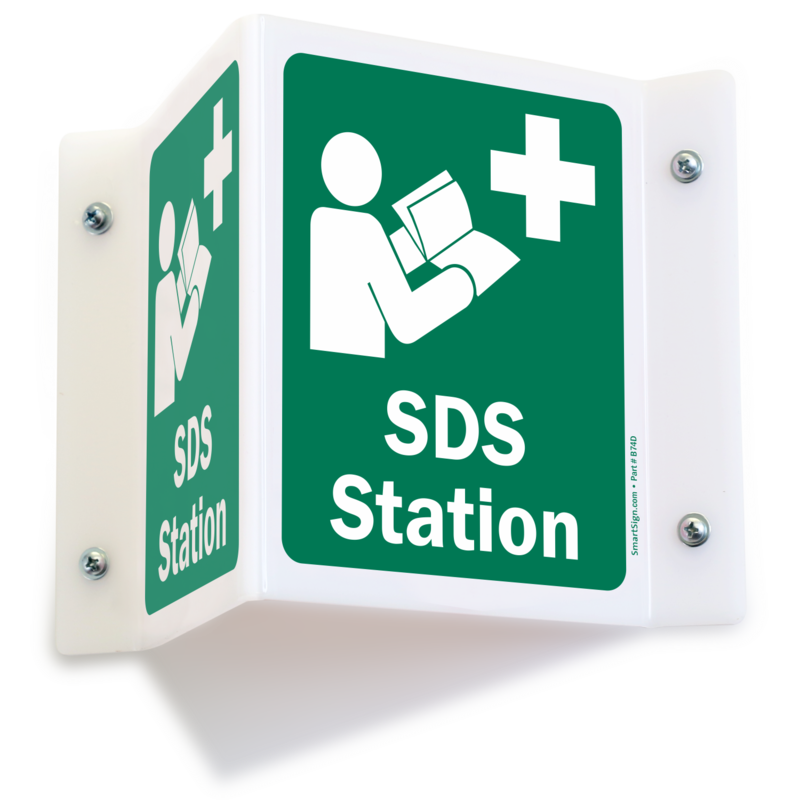 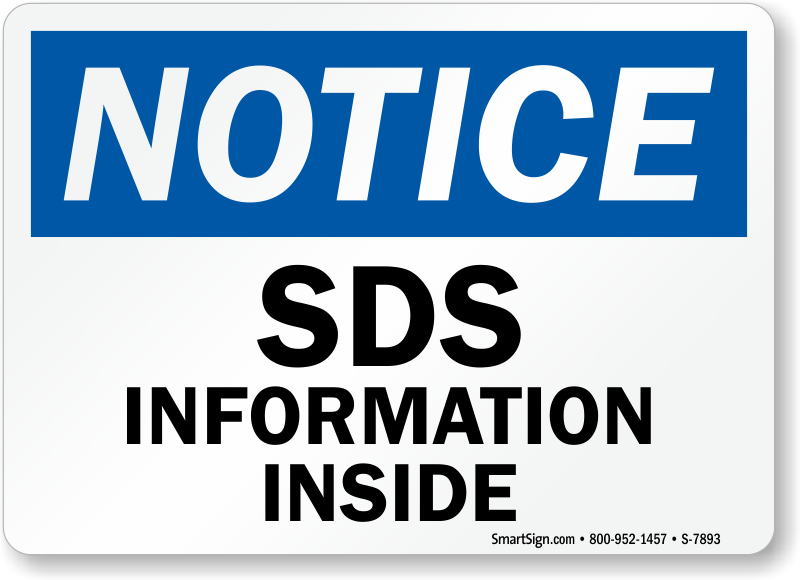 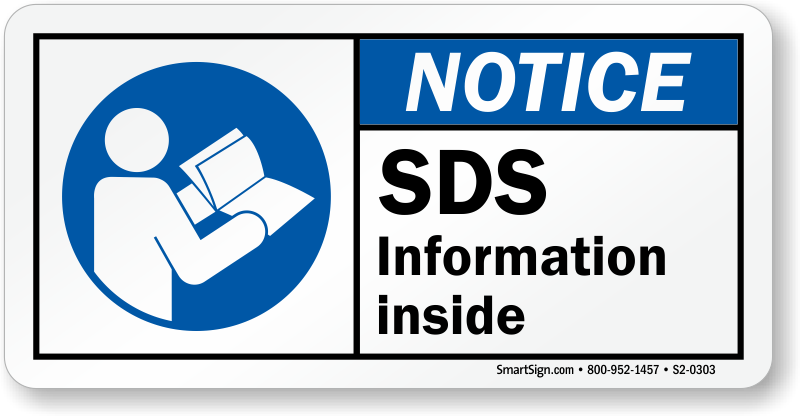 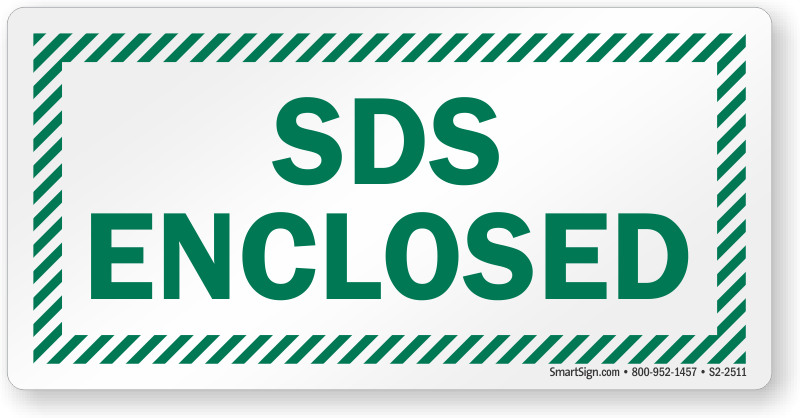 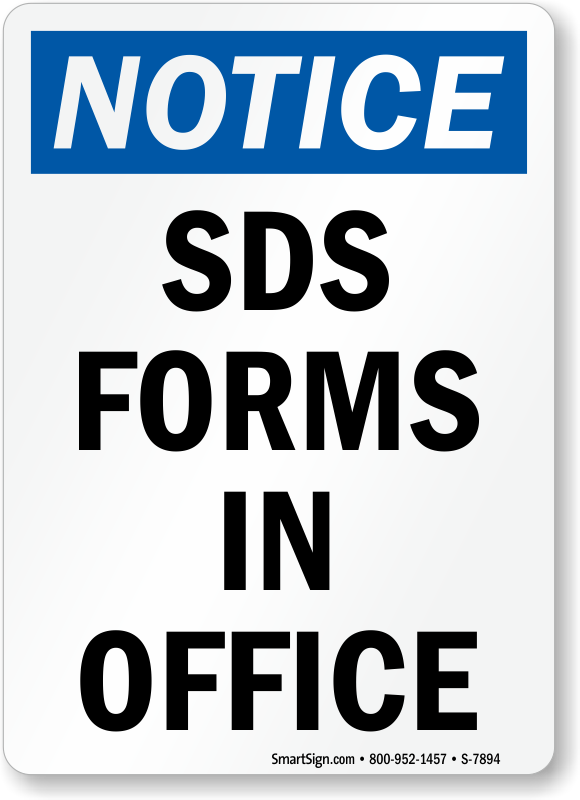 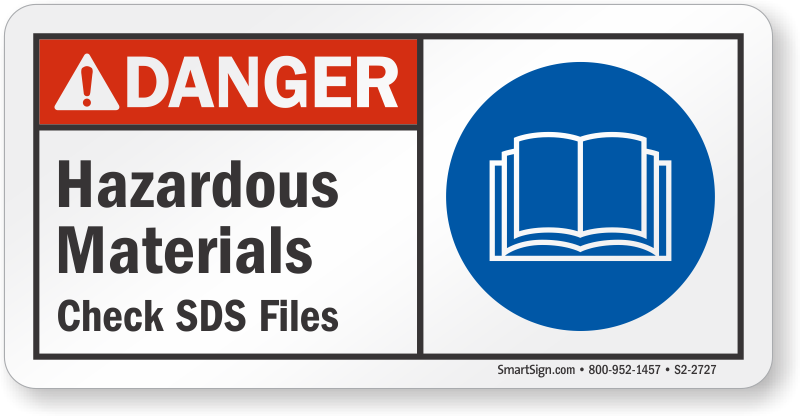 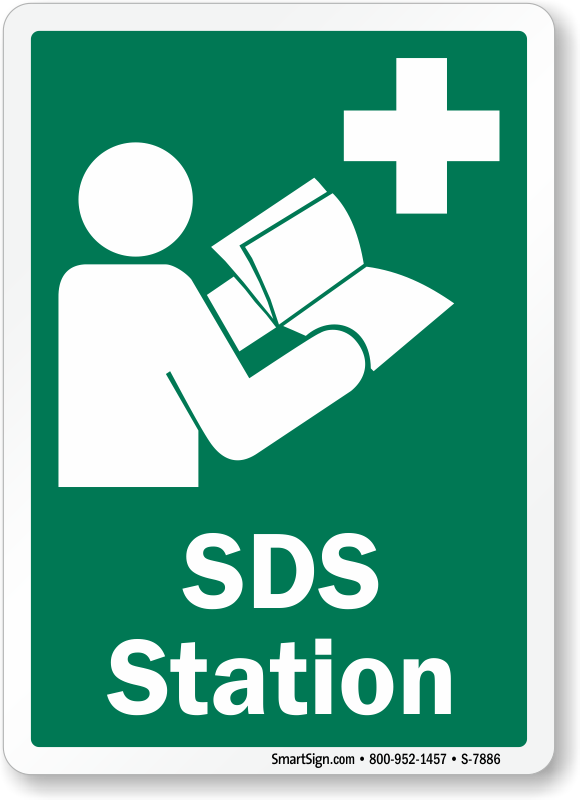 This sign helps employees know exactly where the SDS books are located.